Watson Racing - Experience, Craftsmanship & Attention to Details! Watson Racing, LC., is a division of Watson Engineering, Inc. – manufacturer, designer, and builder of premium race car parts and vehicles. Watson is very proud to be an integral component of the Ford Performance Racing Builds. 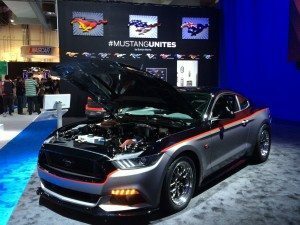 Including, the Mustang S550, and 2016 Cobra Jet Programs. As well as previous builds including late model Cobra Jet, Mustang Boss 302 R/S, and Circle track, Ford Performance race car program builds. Watson works in close cooperation with the Ford Racing Engineers to develop and supply many parts. Including, the Cobra Jet, Mustang S550, Boss 302 R/S, and S197 Mustangs. In addition to prototype and test of race car builds and parts. In addition to being a Ford Performance Racing Parts Distributor, and Edelbrock E-force Supercharger Dealer/Installer, Watson Racing features its brand of authentic “Watson Racing” aftermarket products manufactured by Watson Engineering. Watson Engineering, Inc. is a full-service prototype and production manufacturer. We specialize in services including, bent tubular products, sheet and plate metal brackets, and fabrications. Also, assembly, welding, punching, bending, cutting with core competencies working within numerous industries. Since 1981, when Watson Engineering, Inc., was founded by Chuck Watson, the corporate mission has remained “Committed to satisfying every customers’ needs by exceeding their expectations.” The recent growth of the company has been a direct result of customer-driven needs filled consistently. Furthermore, the assurance of quality, value, and technical expertise from the people at Watson Engineering. Since 1987, Watson Engineering, Inc. has worked with Ford Performance Racing on a variety of parts and assembly for prototype and production vehicles. Through the years, it sparked and connected the lifestyle that the Watson’s have with cars, racing, and thrills. 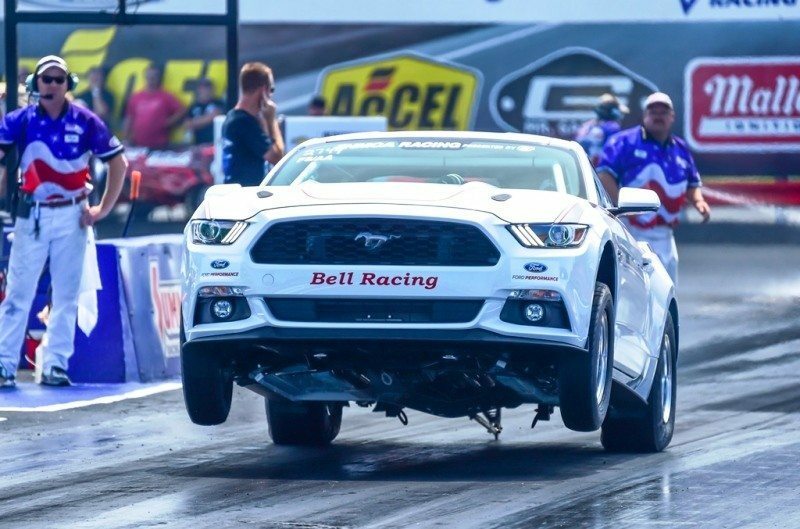 Chuck Watson II began drag racing when he got his driver’s license – seeking that thrill to be the best and go faster and faster. Racing is definitely in the genes as you can tell by the way his face lights up talking about it. Watson Racing LC officially formed in 1995. Watson truly has had some great cars over the years. Watson’s were the first to appear at the racetrack with a modular engine. Back in the day, when the Watsons’ arrived at racing events for exhibitions, the crowds went wild. After many years of racing, they decided to shelf their favorite past time. Due to the economy on a downturn and the expenses of drag racing escalating in the field. The Watson’s sold off their race cars, trailers, parts, and accessories. As they returned the focus and attention on Watson Engineering, Inc. Furthermore, building race cars and parts for customers instead of themselves. 2013 Watson Racing opened its doors to a new permanent home just 2,000 feet north of the legendary Detroit Dragway. With an updated logo, an e-shop website, new ‘Watson Racing’ product line, Edelbrock Supercharger and Ford Performance Racing Parts Distributor. So, Watson is open for business 24/7 at Shop Watson Racing. Watson Racing set out to create the ultimate street/strip ’Stang, Balancing power and weight reduction creating safety and creature comforts. The racy ’15 S550 Stang has a wicked-cool stance, a paint scheme that works for the show or strip and the power to run mid-9s. Additionally, some of the components include a Ford Performance Racing supercharger, cams, throttle body and mass air meter. Watsons’ S550 also includes a Tremec Magnum six-speed, Dynotech one-piece driveshaft, Centerforce clutch, Optima battery, and C&R radiator. Many of Watson Racing’s parts, such as the intercooler tank, 10-gallon fuel cell, driveshaft safety loop, lightweight K-member, IRS and tubular bumper mounts. Also, the 2015 Ford Mustang rides on new Weld Racing wheels and also has a customized interior to match. That’s the new MVS/Watson Racing 3-inch cowl induction hood made from carbon fiber. Also, working with Ford Racing for many years Watson has remained at the forefront of the racing scene since the heyday of the Fox. 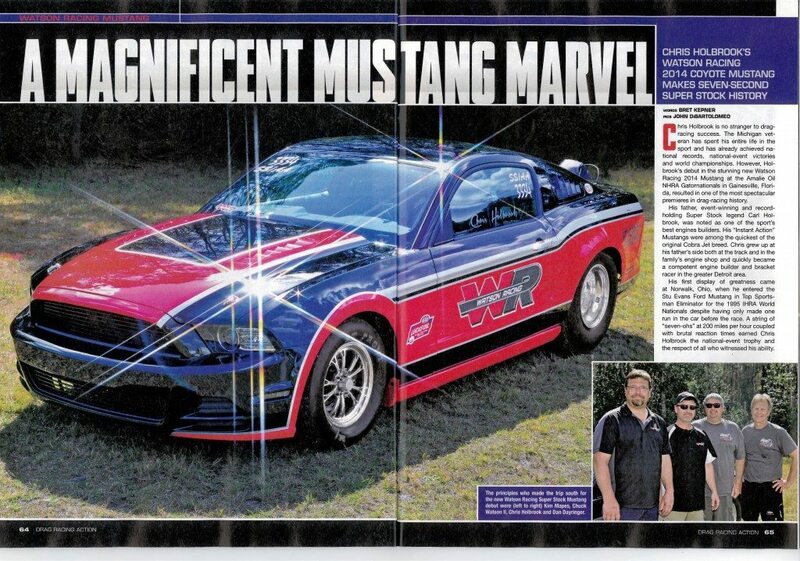 From creating the late Steve Grebeck’s legendary SAAC drag ’Stang to building one of the first supercharged. Including, Four-Valve modular race cars (before Terminators existed), Watson has been there. As a result, these days Watson Racing is at the forefront of S550 racing development. 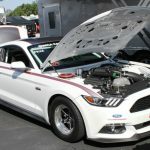 Watson Racing was thrilled to be working with Ford Performance Racing to assist in its’ showcase of over a dozen custom Mustangs for the SEMA show in Las Vegas. At the end of 2015, the Watson Racing S550 Mustang became the “Worlds Fastest 2015 Mustang” with IRS. One news article called it the ‘Quicker Picker Upper’ as it launched into the 8.’s with two back-to-back 8.7 passes in its IRS-equipped S550. 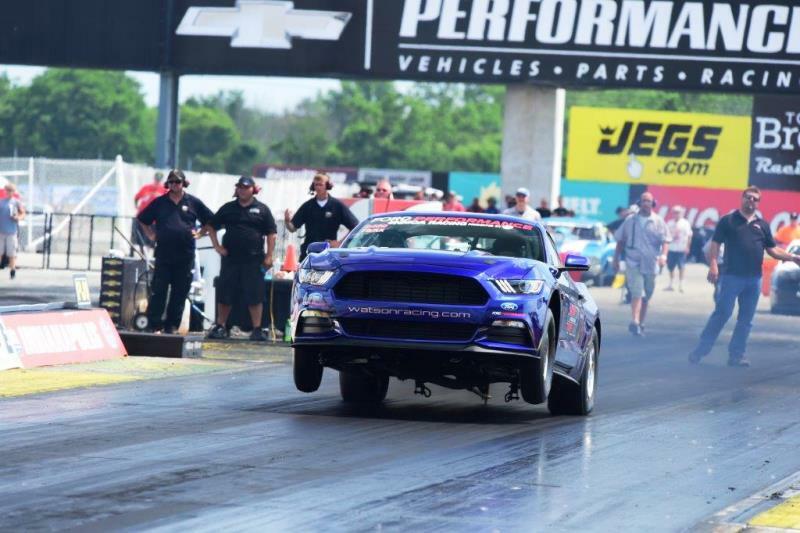 Opening the season of 2016, Watson Racing reached for low 8’s in the 2015 Mustang S550. Due to a full shop and schedule, the car didn’t make it to the track often. Although, it did reach its’ new recorded pass at 8.5. Watson Racing’s S550 Mustang Build. Just the right blend of power and safety features. As well as shedding weight to make it a drag strip dominator, yet very comfortable and street legal. 2016 NHRA “Best Engineered” – Watson Racing 2016 Cobra Jet Build. 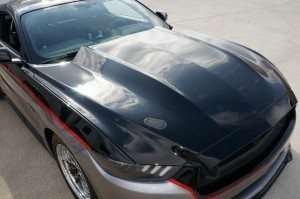 The project started with a 2015 Mustang found in a salvage yard. 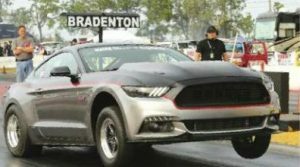 The Mustang was stripped down and incorporated into a 2016 Spec Cobra Jet that can compete in NMCA’s Factory Supercar or NHRA’s Factory Showdown class. On June 15, 2016, The Cobra Jet was picked up from Watson Racing’s headquarters in Brownstown, Michigan. Then it made the short trip west to Milan Dragway to complete 3 of 6 NHRA license runs. The next day, the Racing team headed north of the border to Toronto Motorsports Park in Cayuga, Ontario, for the PC Richard & Son NHRA National Open race. At that race, Bell earned his NHRA license and won the Best Engineered Award out of 400-plus cars.